These (2-1) MC4 type solar branch connectors can be used for safe and easy assembly (parallel or parallel-serial) of PV modules. 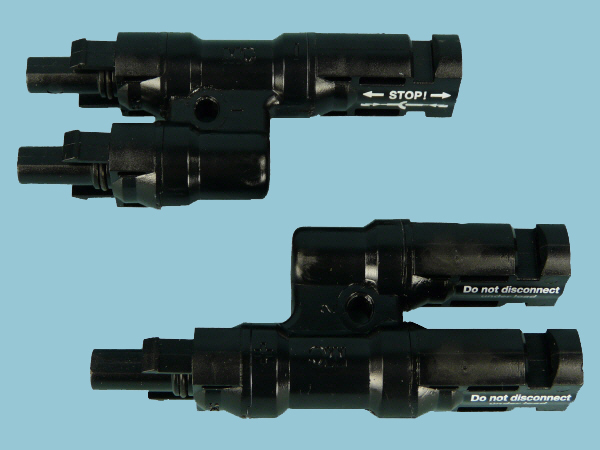 Six Pairs of Positive & Negative MC4 Type Solar branch connectors 2 to 1. For use with our MC4 Type Solar Connectors.